The Ortlieb Document Bag comes in three sizes allowing you to choose the perfect size for your needs. Made from tear resistant PU that is completely flexible. 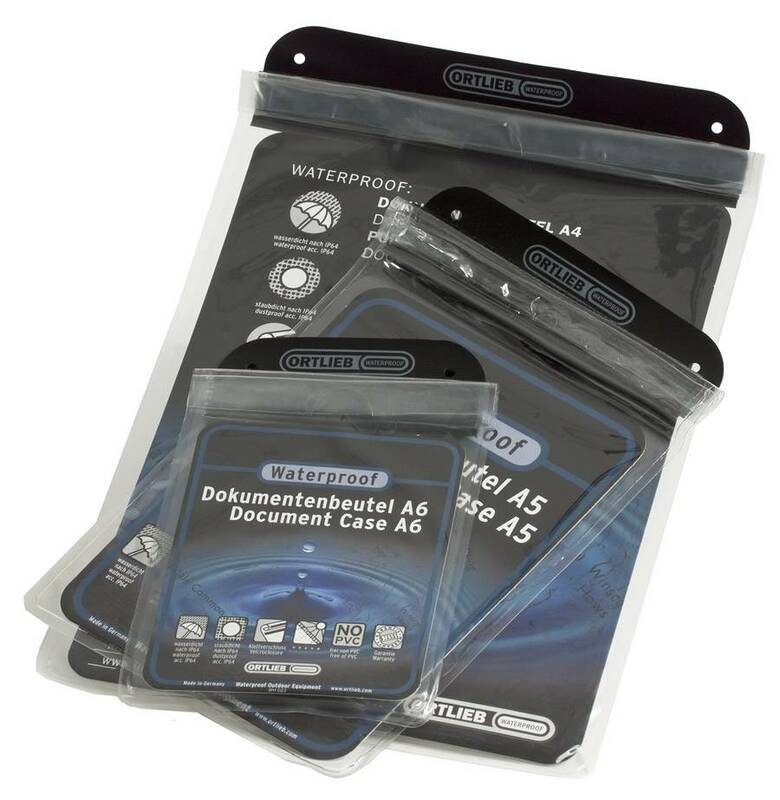 You can roll this case up or fold it and leave no marks or memory in the case. You never know when it's going to rain in the UK so if it's a paper map you need a waterproof case. 2 holes in velcro roll closure for neck string. Neck string included.